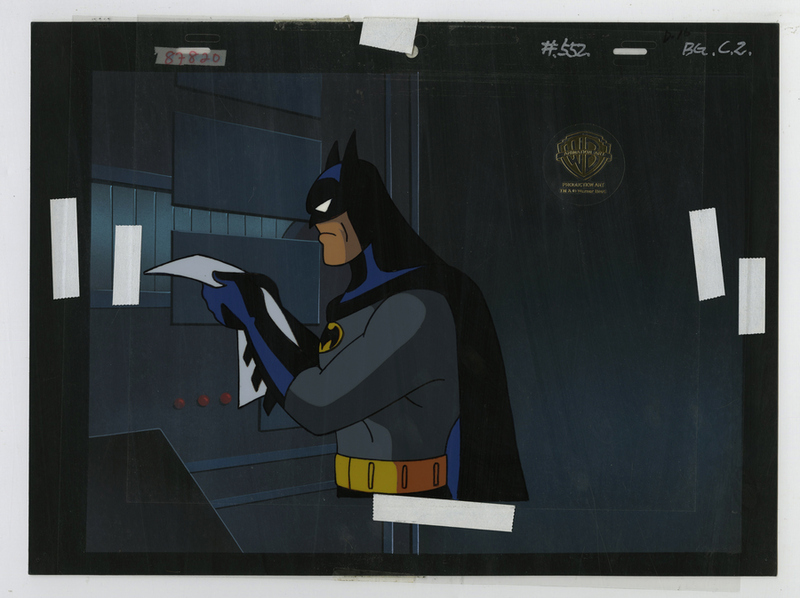 This is an original production cel and background setup from the Warner Bros. Studios production of the 1993 Batman the Animated Series episode, Mudslide. This setup features a classic image of Batman. 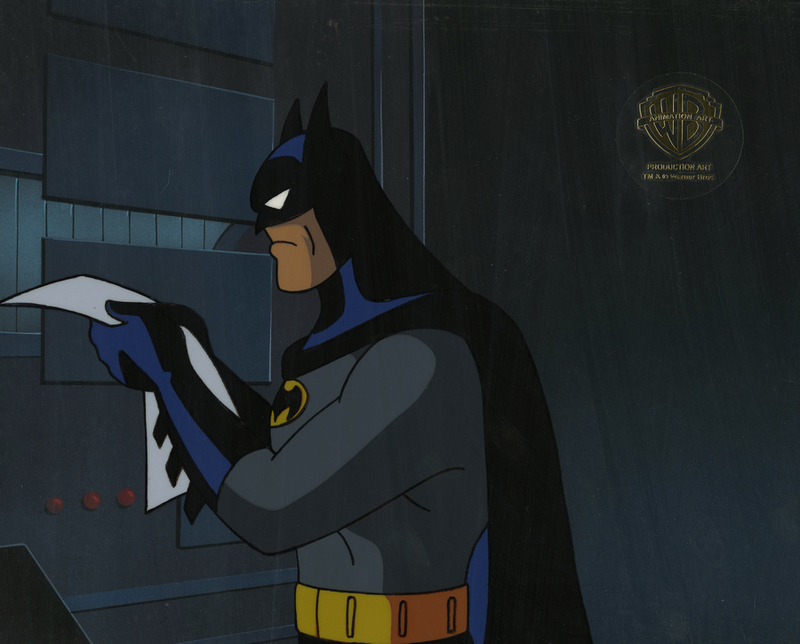 The cel and background were created at the studio and used during production. The overall measurements of the piece are 10.25" x 13.75" and the image itself measures 6.5" x 6.5". The setup is in great condition. This piece comes from the Warner Bros. Studios official art program and will include a COA from their studio.